Meat on a Stick Monday goes to Morocco for a traditional green charmoula used to marinate wild turkey kabobs! 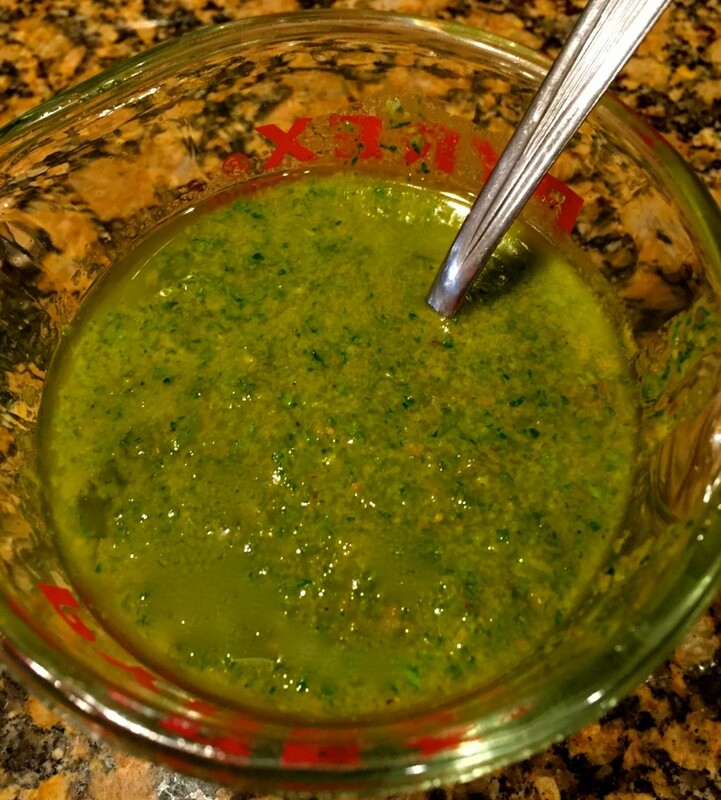 The marinade comes together in minutes with a food processor or mortar and pestle. This marinade can also be used for topping grilled fish. Think of it as the African version of Italian pesto. Enjoy!! 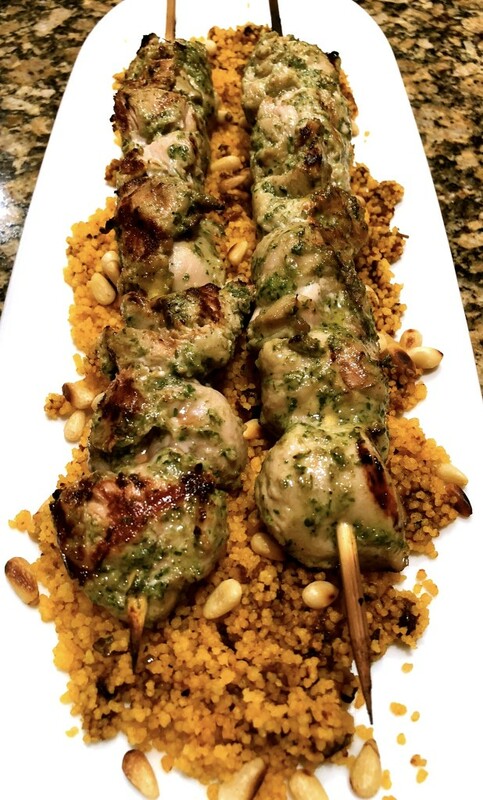 Meat on a Stick Monday goes to Morocco for a traditional green charmoula used to marinate wild turkey kabobs! The marinade comes together in minutes with a food processor or mortar and pestle. This marinade can also be used for topping grilled fish. Think of it as the African version of Italian pesto. Cut the wild turkey breast into one inch pieces, place in a food storage container, or gallon size zip lock bag and set aside. Add all marinade ingredients EXCEPT the oil in a food processor or mortar and pestle. Puree all ingredients then add the oil. Pour over the turkey and place in the fridge overnight. Heat a grill to 4ooºF (204ºC) and skewer the turkey pieces. Grill the turkey kabobs for about 3 minutes (do not overcook). Serve with sides such as rice or couscous. I served the kabobs with cumin flavored couscous and after it was cooked I added half a jar of sun dried tomatoes packed in oil, and 1/2 cup toasted pine nuts.